Dreaming of a romantic wedding that feels like it came right out of a fairytale? 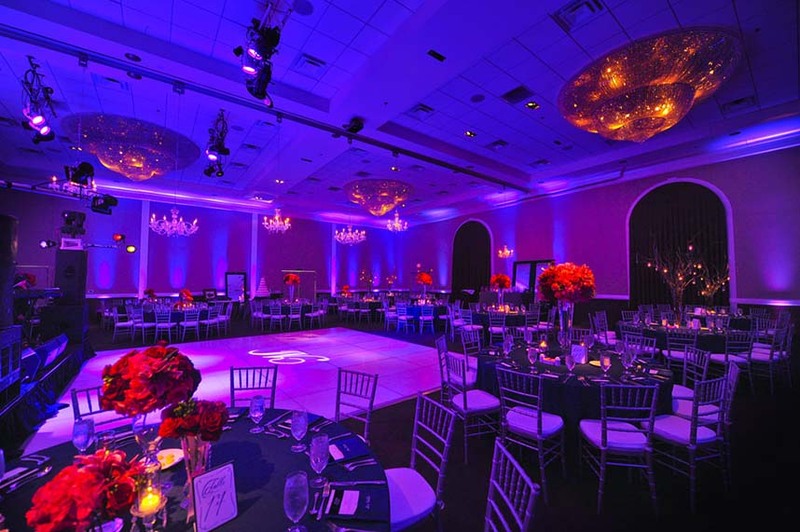 Then you have to check out these gorgeous North Texas ballroom venues! We’ve put together a collection featuring the 10 most outstanding ballroom venues for all of the couples out there searching for their storybook happily ever after. You’ll want to sign on the dotted line when you see all of the glitz and glam spaces for yourselves! Hotel Crescent Court – Molding sophistication and heritage into their own unique experience, Hotel Crescent Court is a grand choice fit for your big day! This gorgeous venue has numerous event spaces including a traditional ballroom on the first floor allowing for up to 500 guests to be entertained in lavish style. Only five minutes from Downtown Dallas, Hotel Crescent Court is the perfect backdrop boasting skyline views with beautiful photo opportunities. The Carlisle Room – If you are looking for a place where elegance meets modern luxury, look no further than the dreamy Carlisle Room! The historic building was built over a 55-year period that began in 1924. The venue is made up of twenty-foot ceilings, terrazzo floors and marble pillars, which are just a few highlights of its historic art deco 1930’s design. This space is suitable for even the most elaborate affairs! The Oaks Event Center – The Oaks Event Center is the perfect venue to be transformed for unique and specific wedding styles. 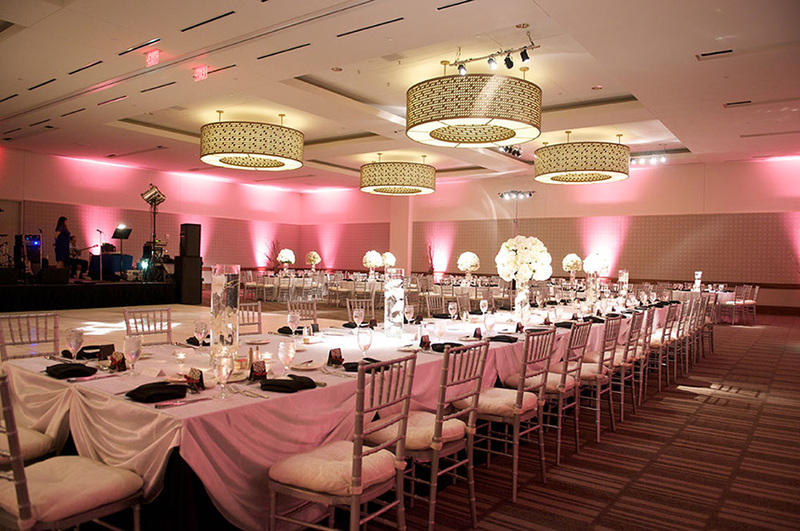 The spacious 5,000 square foot ballroom has a neutral color palette that is ready to host a wedding in any hue. 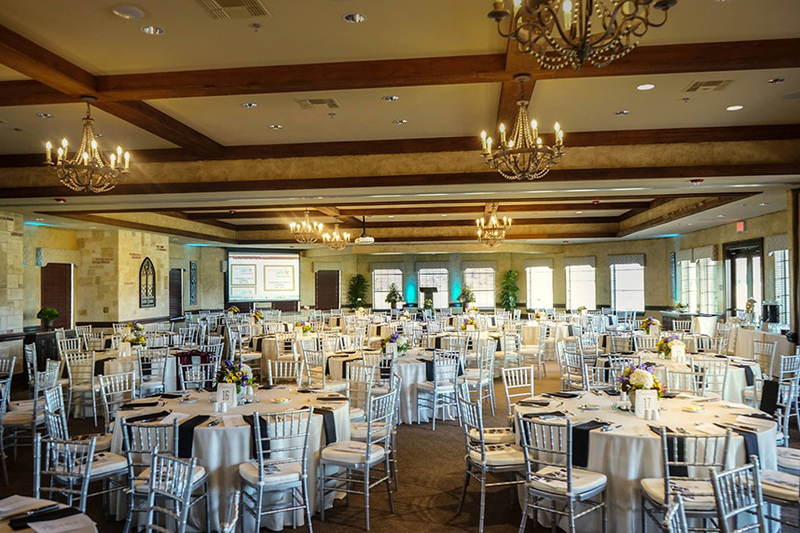 The Oaks is modern and has gorgeous views overlooking Southern Oaks Golf Coarse and can easily accommodate up to 240 guests. The space is also equipped with gorgeous bride and grooms suites for pre-wedding preparations. The Orion Ballroom – The Orion Ballroom is the perfect place to host the wedding of your dreams. With breathtaking views from the 15th floor, this event space is located just outside of downtown Dallas and was recently renovated to match its 360-degree views of the city skyline. The space is over 8,000 square feet, so it is sure to accommodate all of your guests comfortably and provides so much versatility for creating your dream event. 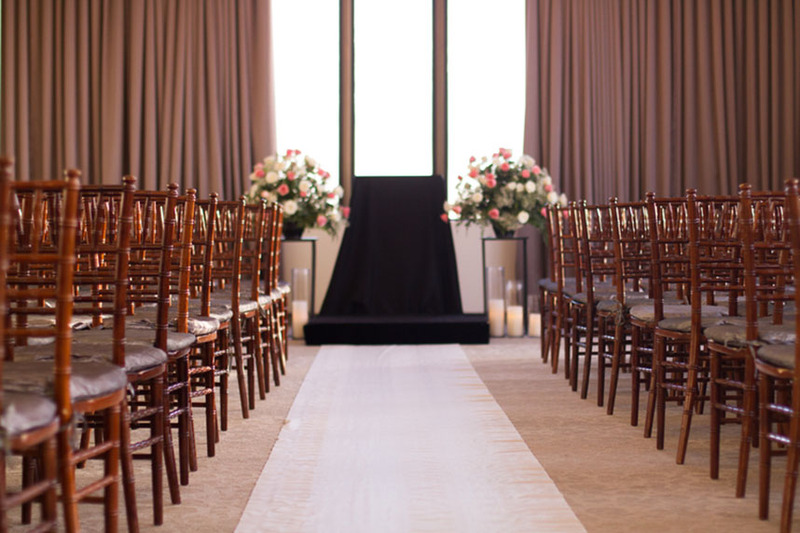 The Westin Galleria Dallas – Looking for a venue that does it all? 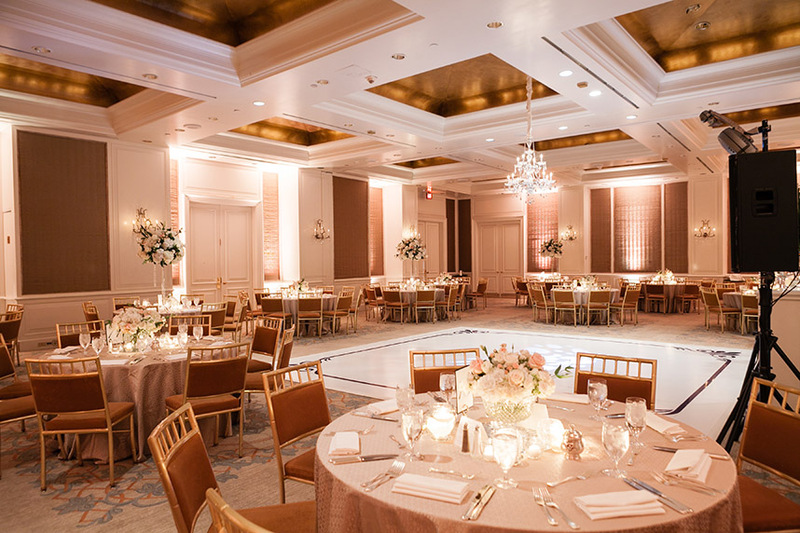 The Westin Galleria Dallas has numerous spaces that can accompany any size wedding, as well as an award-winning Executive Chef who can prepare a personalized menu for your big day. The luxurious space will wow your guests, and out of town guests will be able to stay at the hotel after the ceremony. With an incredible in house wedding team, no detail will go unnoticed! The Marq Southlake – With both flexible and gorgeous spaces, The Marq Southlake is ideal for weddings and receptions in the DFW area. 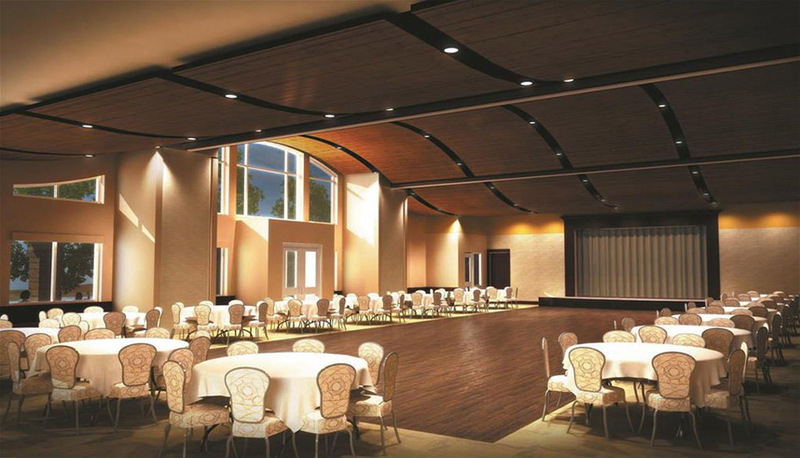 The Traditions Ballroom is nearly 5,000 square feet and is perfect for your glamours soiree. The dance floor is huge, and the high ceilings are stunning. 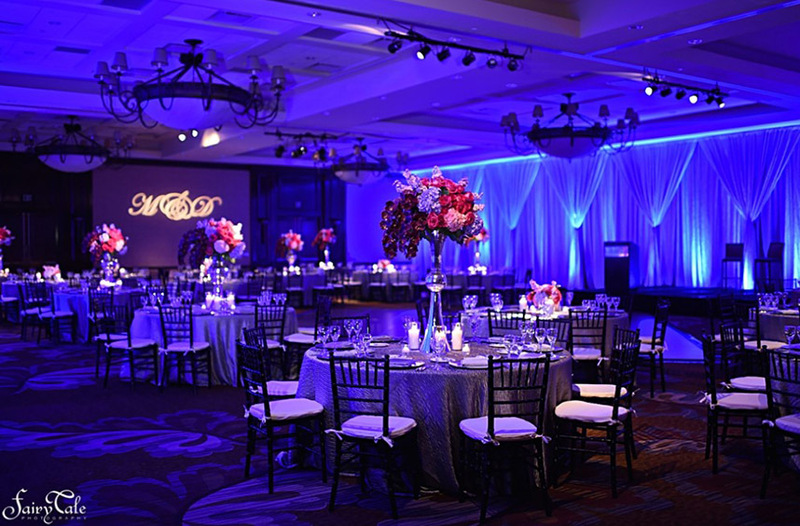 The Marq Southlake is sure to be the perfect choice for a ballroom wedding! 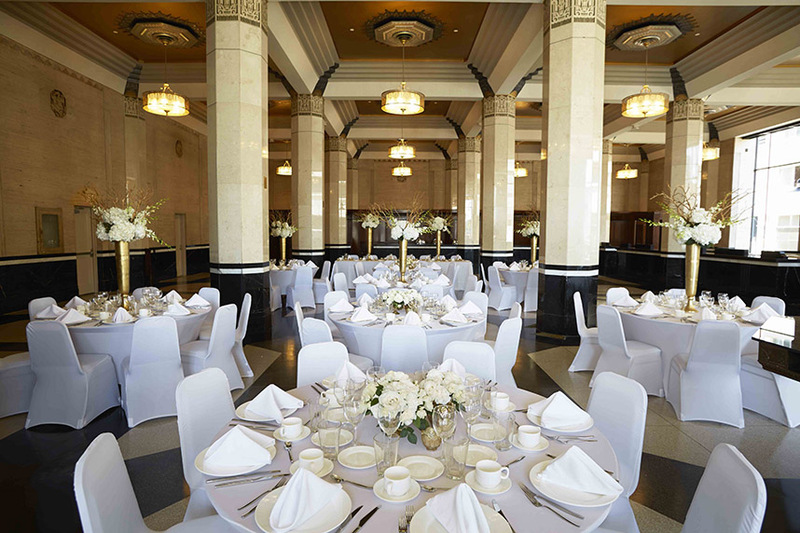 Adolphus Hotel – If you’re looking for luxury on your big day, look no further. The Adolphus first opened in 1912 and has been the host of many weddings. 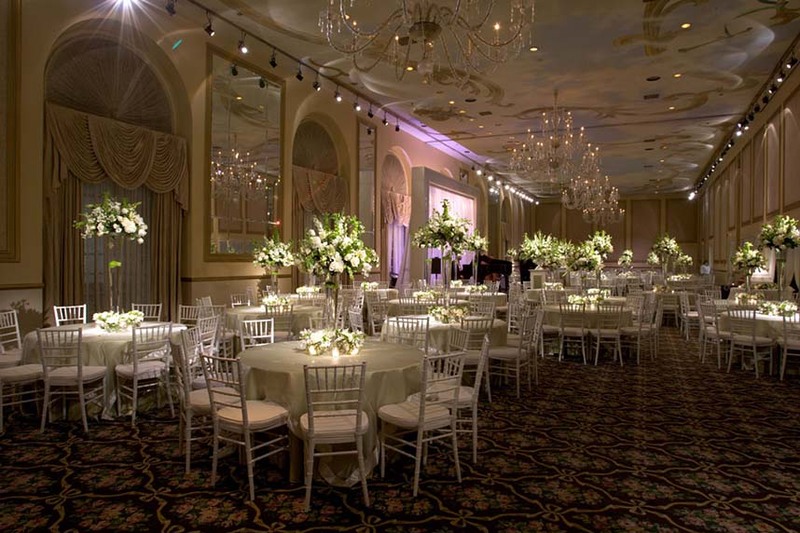 The Grand Ballroom consists of hand-blown crystal chandeliers from Italy and gorgeous paintings of Venice and Rome. With such ornate architecture, you’ll get true European vibes right in the middle of Dallas! 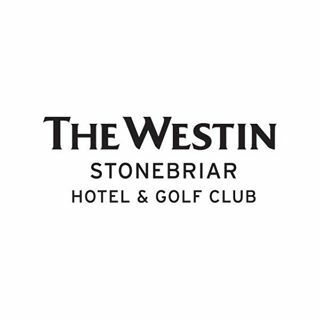 The Westin Stonebriar Hotel and Golf Club – The Westin Stonebriar is the definition of versatile offering two different ballroom spaces and additional garden spaces for the perfect mix of indoor and outdoor. Whether it’s an intimate gathering for 50 or an elaborate reception for 400, you’ll love the freedom to create a gorgeous event at The Westin Stonebriar and with an in-house wedding and catering team, planning your big day will be a breeze! Piazza in the Village – The Piazza In The Village is a modern wedding venue with Mediterranean flair located in the charming Village at Colleyville. With this venue, you get not one but two ballrooms to choose from, both equally as beautiful but offering different vibes to coincide with the style of your event. The Village Ballroom boasts a vintage vibe with crystal chandeliers and classic draping while the Grand Ballroom has a more modern flair! The Ashton Depot – Most people think of hotels when they think of ballrooms, but sometimes you will stumble on a beautiful exception, which The Ashton Depot is exactly that. 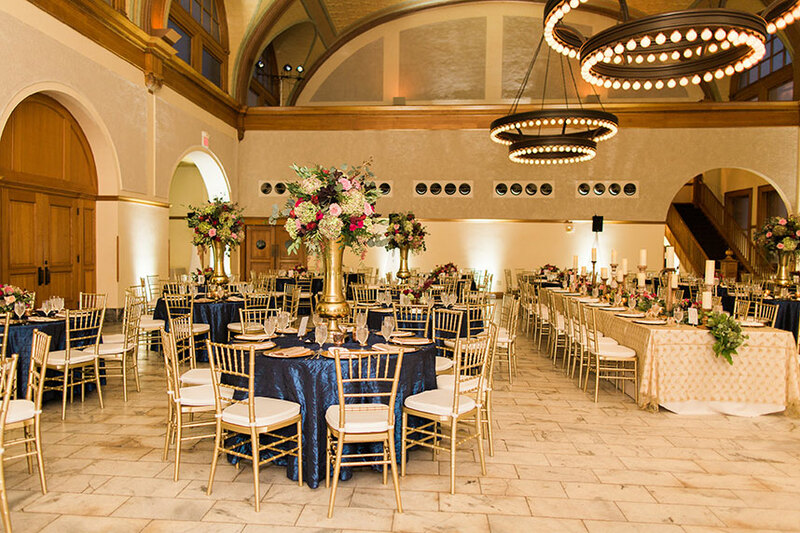 Originally a train depot serving Fort Worth in the early 1900’s, this renovated beauty and it’s grand ballroom boasts the original marble floors, tin ceilings, exquisite woodwork and one-of-a-kind stained glass windows.